Amazing Blog is a clean, modern fully responsive WordPress blog theme, beautifully crafted to create stunning blog web pages for personal and business. Installing WordPress is quite easy nowadays. One click setup is provided by many software like Softaculous. The details process is also described here . If you have any confusion, please feel free to contact us. Click Browse Locate ‘amazing-blog.zip’ Theme in your computer. 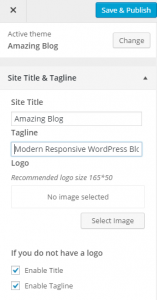 Select ‘amazing-blog.zip’ and click Install Now. Further information of theme installation is here. Logo: You can change your site’s logo by clicking on “Select Image” and choosing/upload image from Media.The recommended logo size is 165*50. 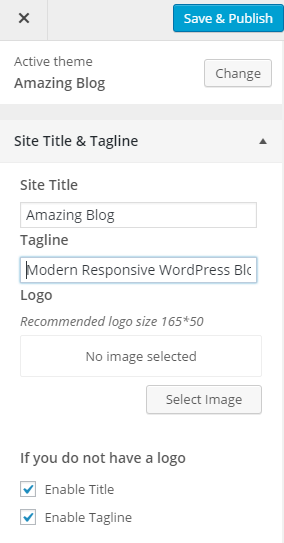 If you do not have a logo: If the Logo isn’t used, you can enable title and/or tagline. 1. 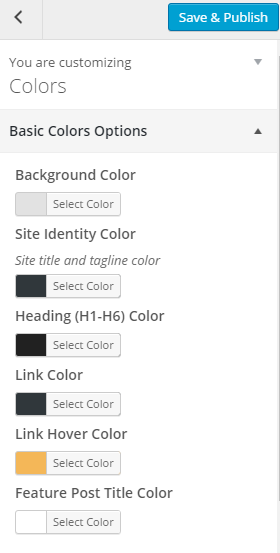 From Customize section, go to Colors section. 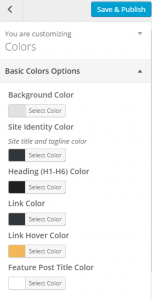 2.1 Basic Colors Options: It includes color options that are applicable for whole site. Background Color: Changes overall site background color. Heading (H1-H6) Color: Changes overall heading text colors which are wrapped in heading tags. Link Color: Changes overall color of links. Link Hover Color: Changes the link hover color. Featured Post Title Color: Changes the featured post title color. 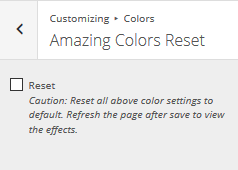 2.2 Amazing Colors Reset: Resetting color options to default.Refresh the page after save to view the effects. 1. From Customize section, go to Font Setting. 3. If preview is fine, click on “Save and Publish” button to save the changes. 2. From Menus, you will be able to add different menu types namely and you will be able to see the created menu, options to reorder menu, add menu items and choose Menu Locations. 3. If the preview looks fine, save the changes by clicking on Save and publish button. 2. 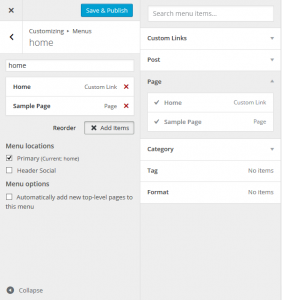 From Menus, select Social Menu . Now, add custom links and put your valid social media URLs in each of the links to get social icons in the social menu. 3. Here, you will be able to Add or Remove Widgets according to your requirement. 4. You can simply click on Add a Widget button and select various available options according to your requirement. How to set Static Front Page? 1. From Customize section, go to Static Front Page. 2. 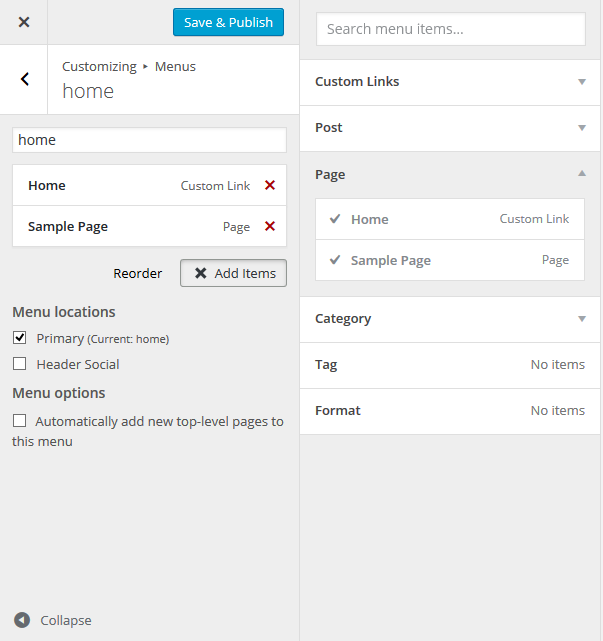 From Static Front Page, you will be able to set a page as Static Front Page and you will find your latest posts page option as well. 1. From Customize section, go to Home/Front Featured Post. 2. 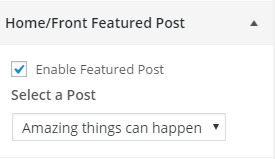 From Home/Front Featured Post, you will be able to Select a Post for Featured Post of the Home/Front Page. 3. You can also enable/disable Featured Post, Category and Title. 4. If preview is fine, click on “Save and Publish” button to save the changes. 1. From Customize section, go to Home/Front Featured Advertisement. 2. 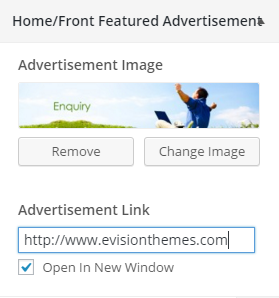 From Home/Front Featured Advertisement, you wil be able to select and change/remove Advertisement Image. 3. You can also insert path to Advertisement Link. 1. 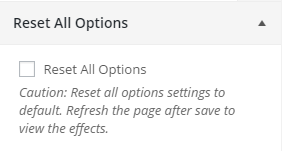 From Customize section, go to Reset All Options. 2. From Reset All Options, you will be able to reset all the changes and configurations done to all of your options to default.